8. Wall functions; References; Index. Kemal Hanjalić Technische Universiteit Delft, The Netherlands. Kemo Hanjalić is Professor Emeritus at Delft University of Technology in The Netherlands. He has published extensively on the measurement, modelling and simulation of turbulence including heat transfer, combustion and magneto-fluid-dynamics. He is widely recognised as a major contributor to the development of mathematical models of turbulence and served for a decade as chairman of ERCOFTAC's special-interest group on turbulence modelling. Brian Launder University of Manchester. Brian Launder is Professor of Mechanical Engineering in the School of Mechanical, Aerospace and Civil Engineering at the University of Manchester. 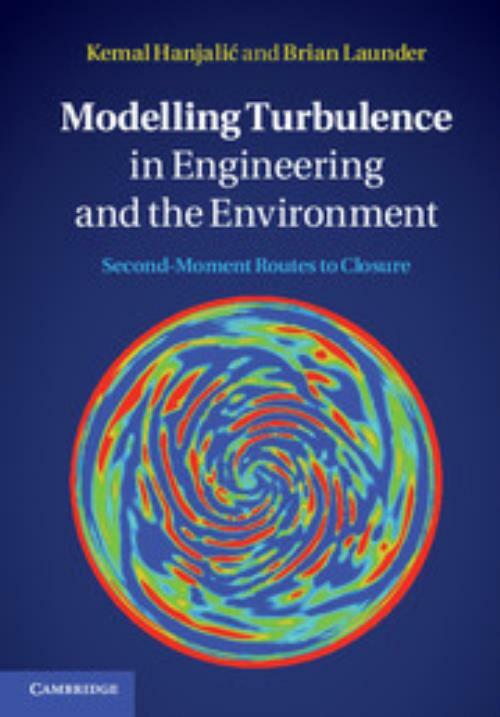 He played a central role in turbulence modelling development, working with his co-author in creating the first widely applied second-moment closure. More recently he has led the application of CFD to three-dimensional turbulent flows, especially in rotating systems, and to the development of the TCL strategy for turbulence modelling.